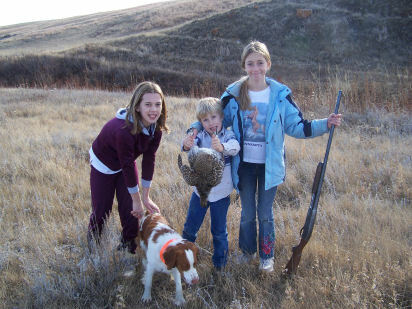 Hanna, Wrangler and Sari with Jesse and a sharptail, 2005. 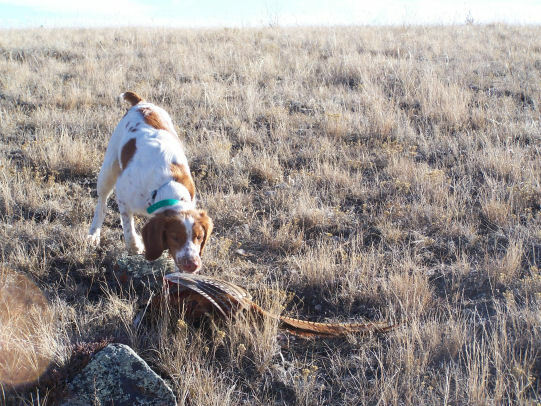 Wrangler with Meadow and Jesse and a pheasant about as big as he is. 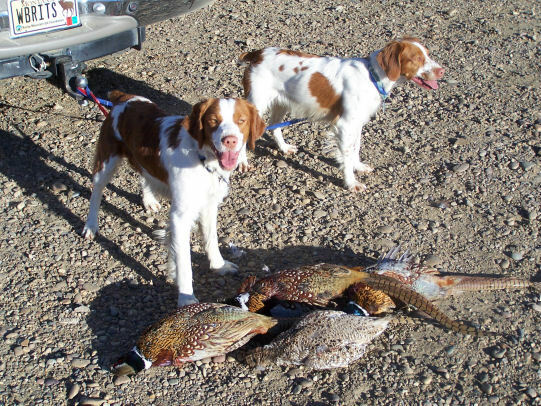 Jesse and Meadow with 3 pheasants and sharp, 2005. 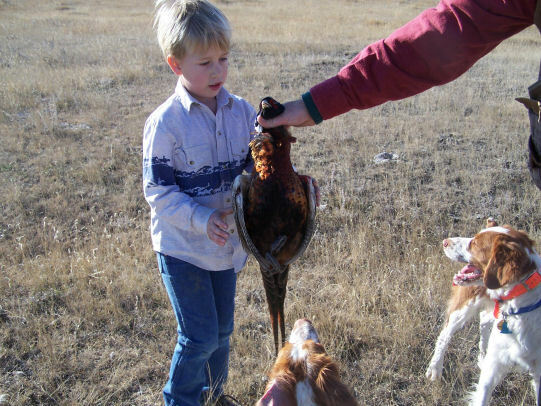 Meadow about to fetch a downed pheasant, 2005.